What is something God has done for you that you are thankful for or are celebrating? How have you seen or experienced the faithfulness of God since our last meeting? Where are you experiencing stress or anxiety? How would you like to see God move in your life or in the life of someone close to you? Take some time to pray together for these things. Read Luke 14:1-24. In verse 3 Jesus asks an important question: “Is it lawful to heal on the Sabbath, or not?” Why would Jesus begin with this question? What is Jesus trying to unearth? Read Mark 2:23-27. This teaches us that God has given his instructions so that we might live life according to His good will and good design for us. How does this frame your perspective on God’s commands and his Word? 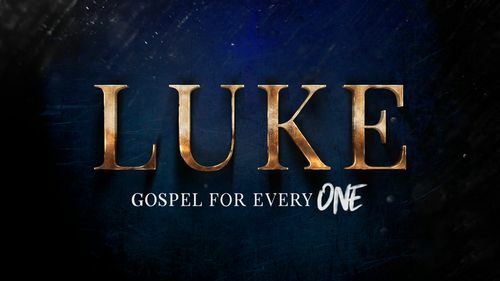 Luke 14:11 reads: “For everyone who exalts himself will be humbled, and he who humbles himself will be exalted.” This reminds us that we should fight against the spirit of self-exaltation and self-interest. Why is this fight so hard? In what ways are you prone to exalt yourself or promote yourself? Luke 14:15-24 tells the story of people who reject the invitation to the feast of the Kingdom (the Great Banquet) because they are consumed with other things. What are some of the things that disproportionately consume your affections, thoughts, desires? As you follow Jesus, you begin to realize that he has given you the best seat in the house. Why is this Good News? You can begin to experience rest. When you stop trying to jockey for the place of honor, you can begin to experience the rest of Jesus Christ. How does this change your perspective? You can begin to truly serve people who cannot repay you. What will it look like for you to help others find a seat at the table this week?